Martin Real Estate was established in 1977 by long-standing owner Tom Martin. As a family run business, Martin Realty strives to work with all buyers and sellers and has so much heart for the people and surrounding community. 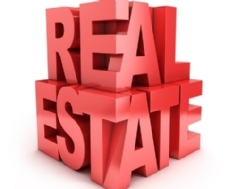 In fact, in order to help provide all clientele with what they need, we work to help buy and sell commercial and residential estates as well as land lots. Determined to make anyone's experience successful, Tom Martin grounded this company on goals of trust and loyalty. Not only are these goals backed by over 30 years of experience as a Texas Real Estate company, they are fulfilled by our extensive sales team. Continually striving to be the best in Montgomery County, Martin Real Estate looks forward to working with you. Looking for a career in Real Estate? We are looking for both new and experienced real estate agents to affiliate with our company. No Franchise Fees, No Sign-up fees, No monthly fees, No desk top fees! Now is the time to join the Martin Real Estate Sales Team! Call Martin Real Estate to schedule a meeting this week and learn more about becoming an independent real estate agent. It all begins at Martin Real Estate where buyers and sellers meet. Find out how we match homes and families!